Providence, RI 02903. I can't believe that I have not heard of it despite my having visited the city and RISD several times. And visiting the Art Club is free! Providence Art Club Providence Rhode Island If you think this looks good, go inside! They describe themselves as follows.. Along Thomas Street, in the shadow of the First Baptist Church, stands a picturesque procession of historic houses, home to the studios, galleries and clubhouse of the Providence Art Club. Said to be the oldest art club in the nation after the Salmagundi Club in New York, our distinguished Providence institution has been here so long that no one can remember a time when Thomas Street was not synonymous with the Providence Art Club. 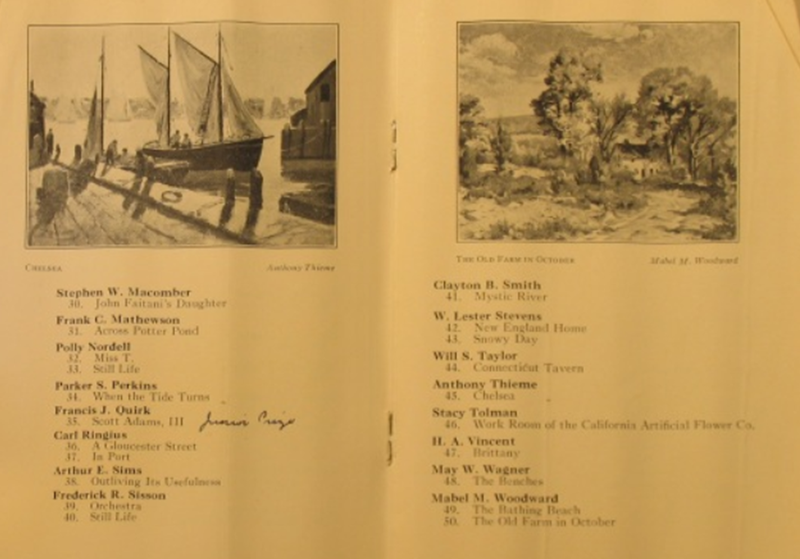 In 1880 a group of professional artists, amateurs, and art collectors founded the Providence Art Club to stimulate the appreciation of art in the community. This new club would exist “for art culture” the founders proposed, and when they met to draw up their charter one February night in 1880, they inscribed that phrase on their seal. What they needed, the 16 founding men and women decided was a place to gather, and an exhibition gallery where artists could show their work and collectors could find good pictures. Within a month they had enlisted 128 members. Within six months the art club had leased an entire floor of a large building for studios and gallery space, where its first anniversary loan exhibition drew 1500 visitors in two weeks. Soon the Club had outgrown its quarters, and by the winter of 1887 it had moved to its present home on Thomas Street. 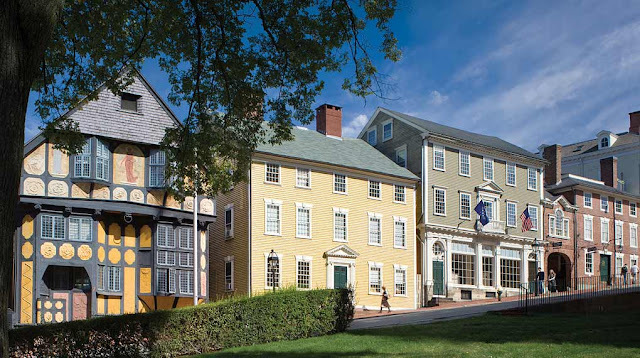 Club members established a Club House in the 1790 Obadiah Brown House, where they combined its second and third floors to create a grand exhibition gallery flooded with daylight from the windows in its roof monitor. There the Art Club holds its dramatic presentations, musical evenings, and lectures. On the ground floor the founders preserved the old kitchen and dining room, where they gathered at lunch for Rhode Island jonny-cakes – a tradition still observed today. The artists furnished the Club House with tables and chairs of their own design and construction. They decorated the fresh plaster with ornamental friezes and then painted the silhouette profiles of club members on the walls. They made fantastic wrought iron andirons for the fireplace and lined the shelves with their beer steins. Paneled with the original wooden shutters saved from the old windows, the Club House is renowned for having some of the most comfortable and charming interiors in Providence. Founded in 1880 to stimulate the appreciation of art in the community, the Club has long been a place for artists and art patrons to congregate, create, display and circulate works of art. Located along Thomas Street, in the shadow of the First Baptist Church, the Providence Art Club is a picturesque procession of historic houses, home to studios, galleries and the clubhouse. Through its public programs, its art instruction classes for members and its active exhibition schedule, the Providence Art Club continues a tradition of sponsoring and supporting the visual arts in Providence and throughout Rhode Island. We unearthed documentation that Quirk exhibited there in a 1932 and appears to have one the Junior Prize (or Jurors Prize?). At the time, he would have been a youthful 25 years old. 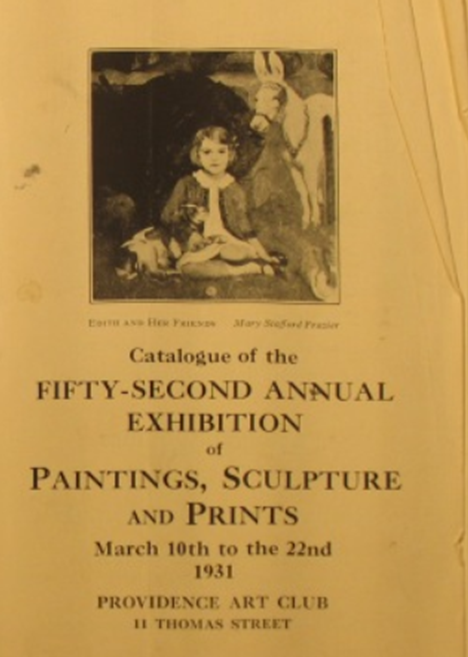 After further exploration we have learned that Quirk again exhibited portraits twice in 1935. In the spring exhibition he had a portrait of Thomas B.A. Godfrey. And again that fall with a painting of William Beck. Thomas B.A. Godfrey later would matriculate at Harvard University and according to the Harvard Crimson was commissioned into the Naval Reserves in 1942. Interestingly, that article lists his home town as Ardmore, PA. His father was Francis Boyer, former chairman of Smith Kline & French, that became SmithKline Beecham. He went on to be Chairman of the Fine Arts Department at the University of Pennsylvania.